Netflix is turning up the heat during August with long-awaited debuts, returns, and acquisitions. Why Should I Watch? “Ozark” isn’t for everyone. In fact, if you’re not a fan of pitch-black dramas, you should look elsewhere. Not only is the story of one couple’s dangerous decision gone horribly awry a brutal, unceasing crime series, but the visuals are often as dark as the content. That being said, it’s not boring. The entire show is based around one big mistake creating many more problems, and the Byrde family is constantly scrambling to keep themselves alive. Anyone suffering from Netflix bloat will be happy with Jason Bateman’s fast-moving, tightly wound thriller, so long as you’re not afraid of the dark. Bonus Reason: Julia Garner is crazy good in this. As the rebellious, inventive, and enterprising Ruth Langmore, the up-and-coming actress is deserving of a series all her own. But for now, her journey through the murky waters of central Missouri, focused on helping Marty (Bateman) execute his complicated money laundering operation, will have to suffice. Why Should I Watch? Matt Groening’s third animated series is following in some pretty big footsteps. Between “The Simpsons” and “Futurama,” Groening has established himself as a legendary creator, so his first Netflix original — and his first new show since “Futurama” ended — has fans wondering how he’ll adjust to a limitless streaming service and a serialized story. Set in Dreamland, a crumbling medieval kingdom, the fantasy cartoon follows a heavy-drinking princess named Bean (voiced by Abbi Jacobson), an elf named Elfo (Nat Faxon), and Luci (Eric Andre), a demon who looks like a cat, as they make their way through a growing number of misadventures. Can these characters connect with audiences the way Homer and Bender have? Nothing makes for a better TV viewing experience than incredibly high expectations, so get excited! Bonus Reason: Abbi Jacobson, even just her voice, is worth following anywhere. 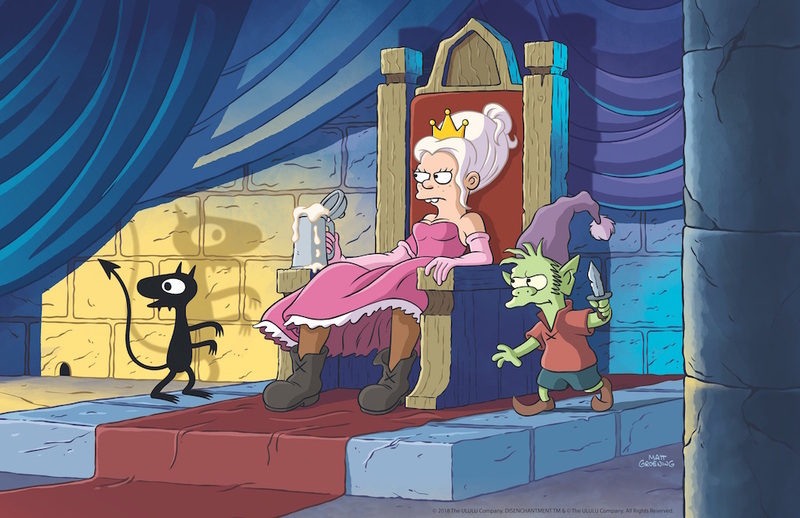 With “Broad City” set to end next season, we need a new reliable source for Jacobson, so here’s hoping “Disenchantment” can provide this very important service. Why Should I Watch? “The Good Place” lives up to its title and then some. 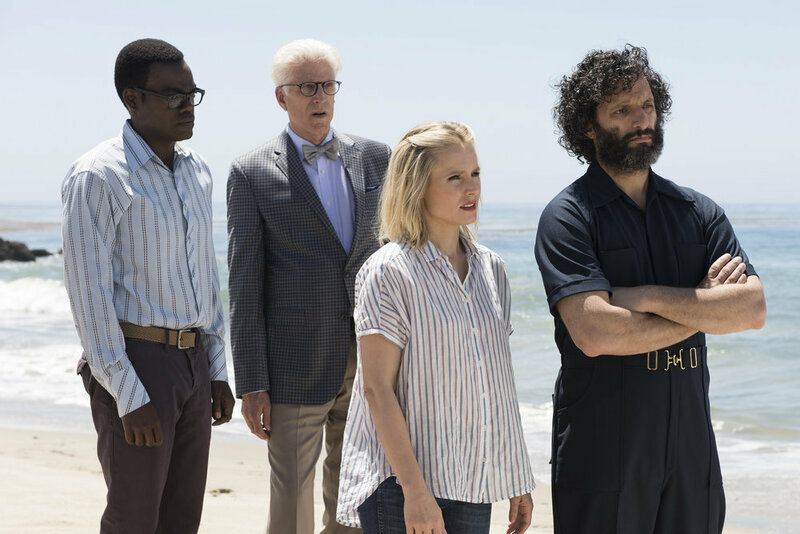 Referring to heaven, paradise, Zion, or whatever your chosen verbiage is for “the good place you go when you die,” Mike Schur’s NBC sitcom is part “Lost,” part “Parks and Recreation,” and still wholly its own story. Season 1 left viewers with a helluva twist, but Season 2 takes things further and gets there faster than anyone could’ve imagined. It’s a rush — which is good, since you’ll need to get through all 13 episodes before Season 3 premieres September 27 on NBC. Bonus Reason: Ted Danson. Listen, you’ve heard this before, but you haven’t. Sure, Ted Danson is a national treasure, who your parents won’t stop reminding you was on a very popular sitcom about alcoholics, but the stealth character actor has been reinventing himself in surprising comedies like “Bored to Death” and “The Good Place” during prime millennial years. By now, every generation should love him and every individual should have their own favorite Ted Danson moment. If you don’t, you’re simply not paying attention. So get it together. Why Should I Watch? In case you ever wanted to get to know the complex inner workings of Rev Run and Rev Run’s kids, “All About the Washingtons” is here for ya. 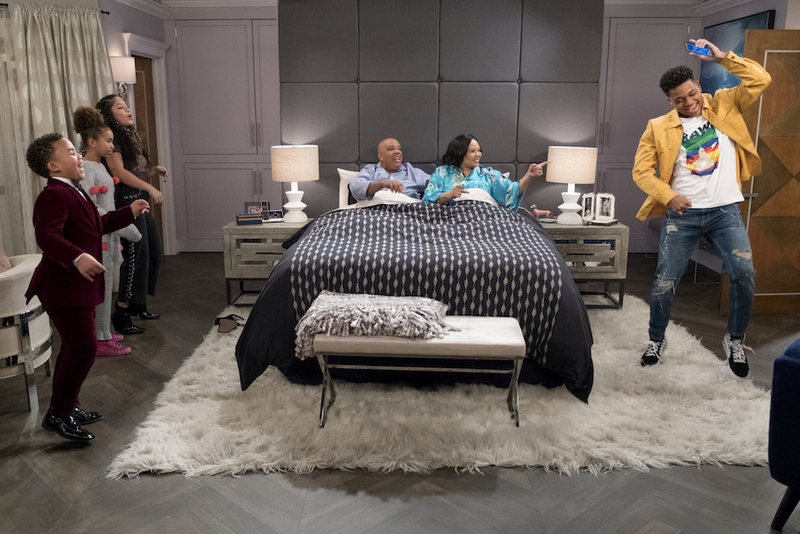 A scripted family sitcom following Joey Washington (Rev Run a.k.a. Joseph Simmons a.a.k.a. Run a.a.a.k.a. Rev. Run a.a.a.a.k.a. DJ Run a.a.a.a.a.k.a. the guy who God told to go vegan), Justine Washington (Justine Simmons, Rev’s real-life wife), and their kids (played by actors), this multi-cam comedy is an autobiographical story for the current reverend. That should be enough to peak interest in viewers, considering the same pitch worked for Rob Schneider. After Joey decides to retire from a long career as hip-hop royalty, his wife Justine, takes advantage of the opportunity to pursue a career of her own now that Joey is available to focus on raising the kids and keeping the house in order. Continue reading for three more TV shows to watch in August and the full list of titles.